Not all of our most desired Hollywood hunks and hotties were born with the sparkling smiles we’ve come to know and love. Perfect needs a little help sometimes, and plenty of Hollywood’s stars are no stranger to augmentation for the sake of beauty. The Batman of the ‘90s and leader of Ocean’s Eleven didn’t always have such a suave smile. Clooney has a nervous condition which causes him to intensely grind his teeth when he is under stress. Clooney was effectively filing his teeth down to nothing. 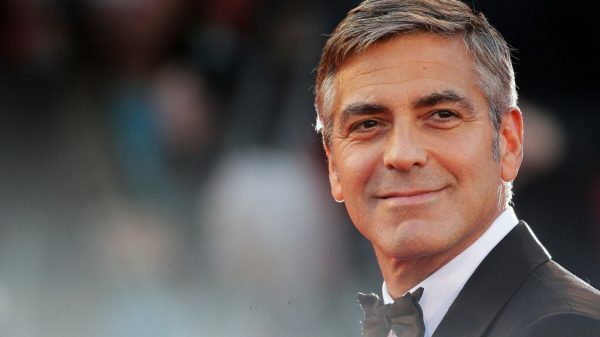 Instead of investing in treatment and a mouth guard, Clooney chose to spend nearly $20,000 on a shiny new set of porcelain veneers. Tom Cruise is known for his “winning” smile, but those pearly whites didn’t come with the original package. Cruise has put his chompers through an extensive set of procedures for whitening and straightening. After years of augmentation, Tom Cruise chose to end the madness. He made one final dental investment for a full set of porcelain veneers. Teenage Zac has a major gap between his two front teeth. Though his look was endearing, Hollywood saw something different. As the young actor made the transition from teenager to Hollywood hunk, the gap in his teeth magically disappeared. Celine grew up in the eyes of the public, so there is no doubting that her smile has had a little help along the way. From crooked-toothed teenager to stunning powerhouse, Celine has (like many others) invested in a complete set of veneers. Hilary Duff started out with a better than average set of teeth, but ran into a terrible mishap one night during a performance. Duff reportedly knocked her front tooth on the microphone in a moment of charisma, which resulted in a noticeable chip. Instead of repairing the tooth, Hilary chose to invest in a full set of veneers. A $20,000 insurance policy for your smile is just what you do when you’re a star. Jim Carrey chipped his front tooth before he ever found fame, but his role in Dumb & Dumber gave him the bright idea to remove his cap. It worked, and the world remembers big hearted, snaggletoothed, Lloyd today. After the movie wrapped, Carrey chose veneers instead of replacing the cap. His smile has never looked brighter. Funny man, Chris Rock got a major mouth makeover after appearing in the 1997 film Lethal Weapon. He spent his earnings from the movie on a perfect smile, which he continues to mention today. After spending $150,000, who wouldn’t gloat a little?